Thedra Baldwin passed away on March 6, 2019, in Austin, Texas at the age of 78. She was born on October 24, 1940 in San Antonio, TX to Winston and Thelma (Gips) Metz. Thedra was a native Texan, descended from Texas pioneers who emigrated from Prussia starting in 1834 and who fought for Texas Independence in the Battle of San Jacinto. Her family later settled in Yorktown, TX where Thedra made many happy memories with her beloved grandparents. She attended Trinity University and West Virginia University where she majored in home economics with a specialization in child development. On December 20th, 1958, Thedra married Richard Baldwin. She met Richard, a West Virginia native, when he was a staff sergeant stationed at Kelly Air Force Base. They were married for over 60 years and together they raised five children. Thedra had a passion for quilting, gardening, reading, creating a warm and loving home, and caring for her family. Her energy was boundless, earning her the nickname of the energizer bunny. 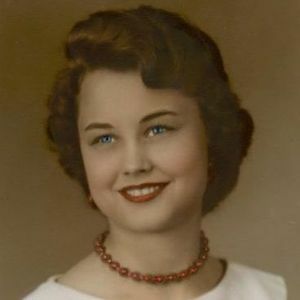 In addition to raising her own children, she took an active role in caring for and educating her four grandchildren and two great-grandchildren. Her children, grandchildren and great-grandchildren have fond memories of reading books, playing games, working jigsaw puzzles, going on road trips, watching musicals, cooking together, and building Lego sets with Thedra. The holiday celebrations she created and hosted were magical and her home was a warm and cozy gathering place for her large family. Thedra was preceded in death by her father, Winston, her mother, Thelma, her daughter, Carol, and her grandson, Andy. She is survived by her husband, Richard, daughter Lori, son and daughter-in-law Rick and Marcie, son and daughter-in-law, Tim and Jennie, daughter, Julie, grandsons Zak, Julian and Micah, great-grandchildren, Nathan and Anna, granddaughter-in-law, Dana, and brother William. A memorial service will be held on Friday, April 12th, 2019 at 3:00 p.m. at the Smith Family Chapel at Riverbend Church and Remembrance Gardens, 4214 N Capital of Texas Hwy, Austin, TX 78746. Add your thoughts, prayers or a condolence to Thedra's guestbook.